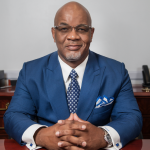 President William B. Bynum Jr. is the keynote speaker for Jackson State University’s National Alumni Association 2017 Fall Council Meeting and will give a state of the University address, introduce his executive cabinet and share his vision with alumni and guests. “The Journey Begins” is the weekend theme for the annual meeting taking place on Friday, Sept. 22 and Saturday, Sept. 23. “We have developed an exciting agenda designed to enlighten, encourage and empower the alumni,” said Yolanda Owens, president of JSUNAA. The JSUNAA Board of Directors will meet on Friday from 1 to 5 p.m. in the JSU Walter Payton Center Suite D. Registration begins at 11 a.m. and board photos will take place at noon and will end at 12:30 p.m. All members are encouraged to attend and observe as executive officers and committee chairs present their annual reports. 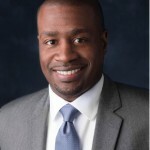 On Saturday, the meeting will continue with registration and a continental breakfast at 8 a.m. followed by, Vice President and Chief of Staff at State University of New York (SUNY) from the downstate medical center, Dr. Keydron Guinn will present Preparing for Change: Successful Transitions for Organizational Sustainability. Guinn will discuss how organizations that implement successful leadership transitions are well-positioned to build upon their legacies and achieve new levels of growth and success. 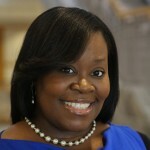 At 9:30 a.m., JSU’s Chief Academic Advisor, F. Janelle Jefferson will begin the dialogue on the critical need to bridge the generation gap within JSUNAA through effective communication and understanding the digital divide. Jefferson’s presentation will serve as the first of many future conversations on the topic. JSUNAA Regional Vice Presidents will also conduct a training session specifically designed for presidents and officers of local chapters starting at 10:15 a.m. followed by JSU’s Vice President of Institutional Advancement Veronica M. Cohen. All alumni are encouraged to attend the council meetings as a way to stay connected to JSUNAA and the University.